Choosing A Countertop Material | Which Is Best? Whether you bought a new house, renovating an old house, or building a house, you have many choices to make when it comes to choosing countertop stone for your bathroom or kitchen. We want to help educate you on the various countertop materials out there so you can make a better-educated decision. One of the biggest decision you need to make is what kind of countertop stone you should choose for your home. There are several for you to pick from. Granite is an igneous rock, which contains at least 20% quartz but also some feldspar and mica. It is mined all over the world including Italy, China, Brazil, India, and Norway. The largest granite quarry is in the US, located close to Barre, Vermont. 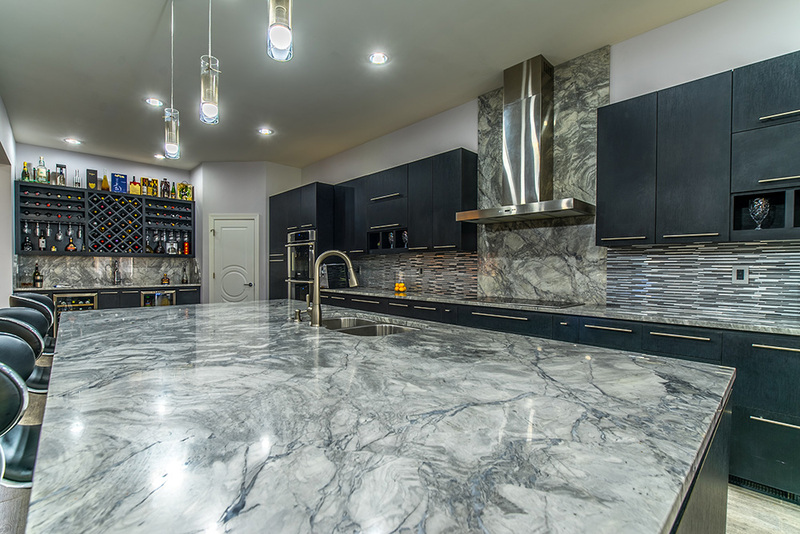 There are several different grades of granite to choose from ranging from low grade to high grade, learn more about granite grades. Each granite slab is unique, it is durable and scratch resistant. It is easy to clean and has a very high resale value. One small drawback is the highly porous nature of granite which makes it susceptible to staining. Fortunately, granite countertops can be protected with sealers. Learn more about our 25-year warranty sealer. It is a good idea to keep your granite countertops as dry as possible. Use coasters under drinks-especially drinks with alcohol or citrus juice and clean up spills promptly. Do not place hot items directly on the countertop. Granite comes in many different unique colors. 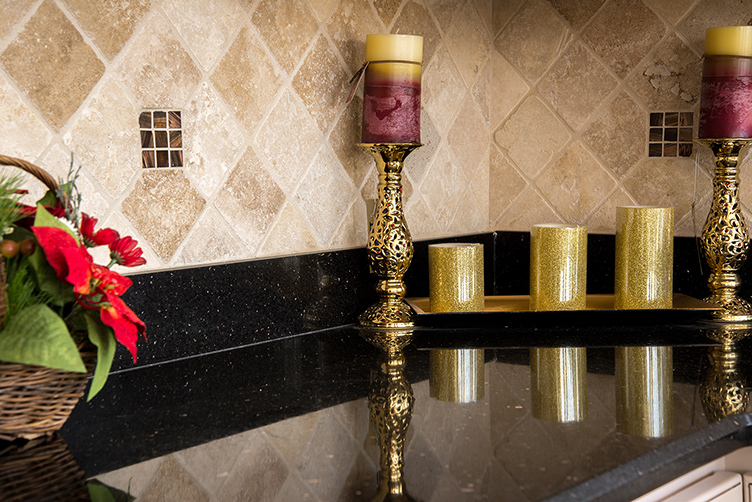 The showrooms at East Coast Granite display hundreds of granite colors and patterns to select from. See our sample granite colors. One of the reasons marble remains popular for countertops is because of its elegance. This ingenious stone comes in many different colors. 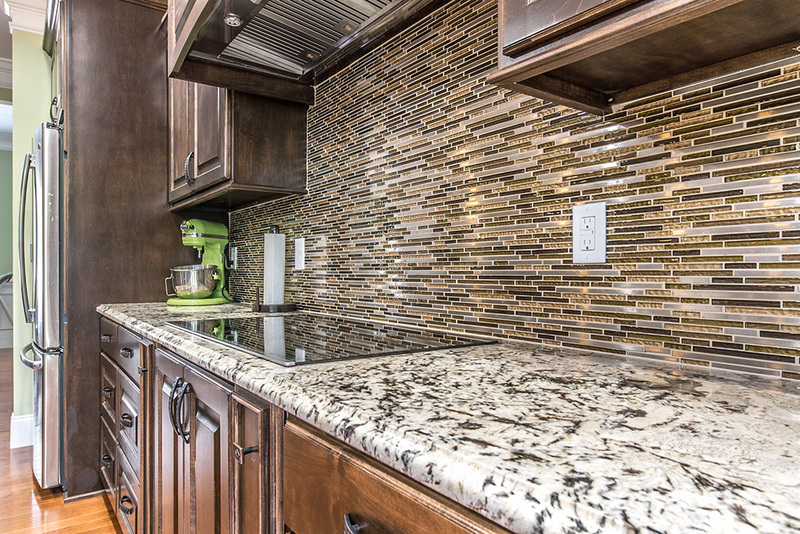 No two slabs are alike, so you’ll always be assured of having a unique countertop. Marble is a metamorphic rock – meaning that it has been changed (metamorphosized) from its original composition of carbonate materials – usually limestone – through the effects of intense pressure and heat on the substrate and then its subsequent recrystallization. Marble is heat resistant and in the kitchen, it will stand up well to hot pots and pans. In the bathroom, a styling tool will not do any damage to it. It is also popular for fireplace surrounds since it won’t yellow due to heat. However, marble requires a fair degree of maintenance to retain its superb look and feel. In particular, the marble must be properly sealed after installation to avoid staining. In addition, spills, especially ones involving acidic liquids, should be wiped up as soon as possible. There are many different marble colors. White or gray marble can act as a great backdrop for almost any decor but the blues, greens, dark blacks, and uniquely hued pinks and yellows can provide a stunning centerpiece to any kitchen or bathroom. See our sample marble colors. 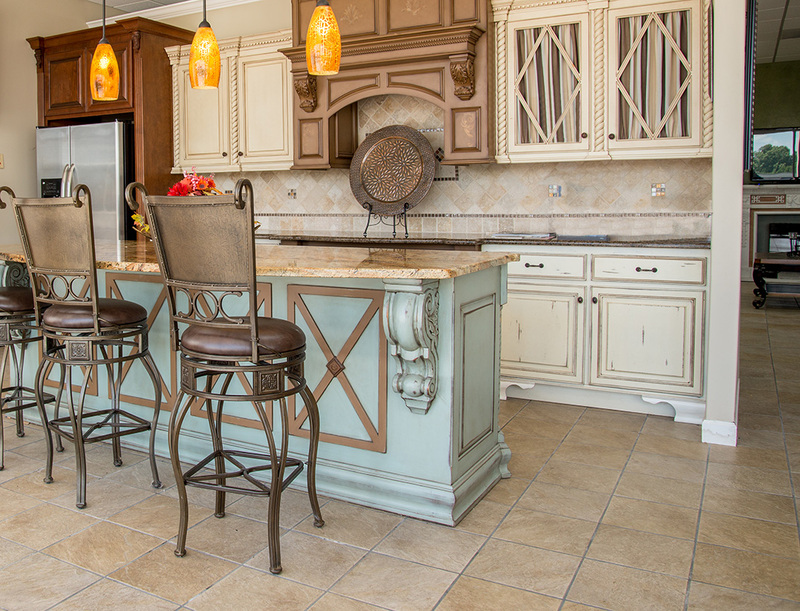 With Quartz, as it is an engineered stone, durability is unsurpassed. Simplistic in design but never falls short on beauty that will be added to a room. This is for the homeowners searching for a distinctive but relatively affordable countertop product for their kitchen or bathroom. Unlike marble and granite, most quartz is no longer mined in a quarry but is instead engineered and manufactured in a factory. Quartz countertops are made by combining 93% natural quartz stone with 7% resin binder and some colorant. This creates an extremely hard stone that is stronger than granite or marble. 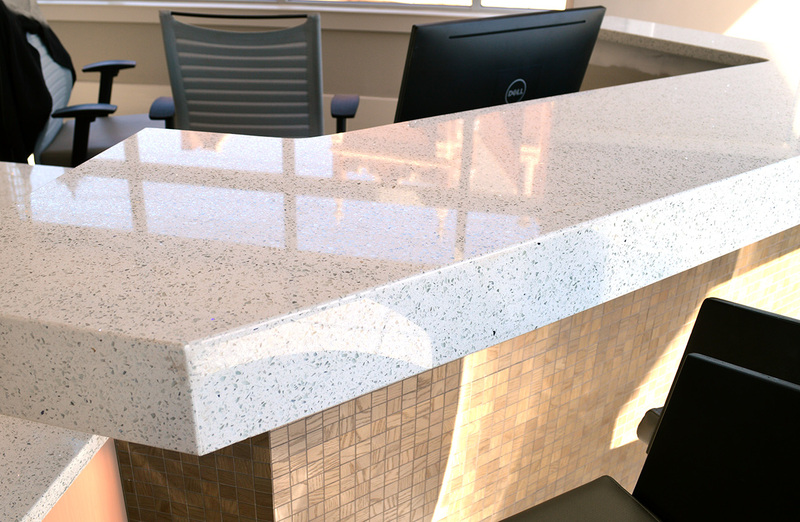 Quartz has some advantages over natural countertops – in particular, it can be produced in almost any color and it is non-porous. 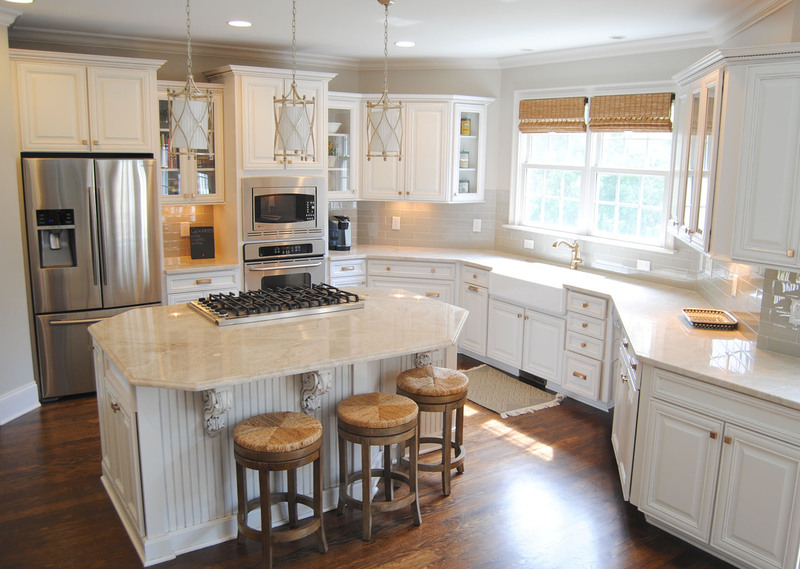 Quartz countertops are extremely hard and scratch resistant. They are completely prefabricated at the factory and thus need no secondary work. In addition, no household substance can stain it and germs simply cannot infiltrate its surface. Unlike natural stone, it never needs to be sealed. You can wipe your quartz countertop with soapy water for daily maintenance. Stains can be removed with a gentle scrub. Do not use scouring pads that can dull the surface, and also harsh chemicals can break down bonds between the quartz and resins. However, quartz is not very heat resistant, most manufacturers state that they can handle up to 400 degrees F, but a sudden change in temperature or heat can cause a crack. It is important to always place something underneath warm pots and pans before placing them on the countertop. Quartz is also not suitable for outdoor use. When the direct sun hits it, over time it can cause the colors to fade. There are many many different colors of quartz for you to choose from. See our sample quartz colors. East Coast Granite has been in business for over 10 years and has completed over 25,000 Projects. Our 20 plus locations in North & South Carolina have access to thousands of stone slabs and are ready to deliver a quality installation at any given time. 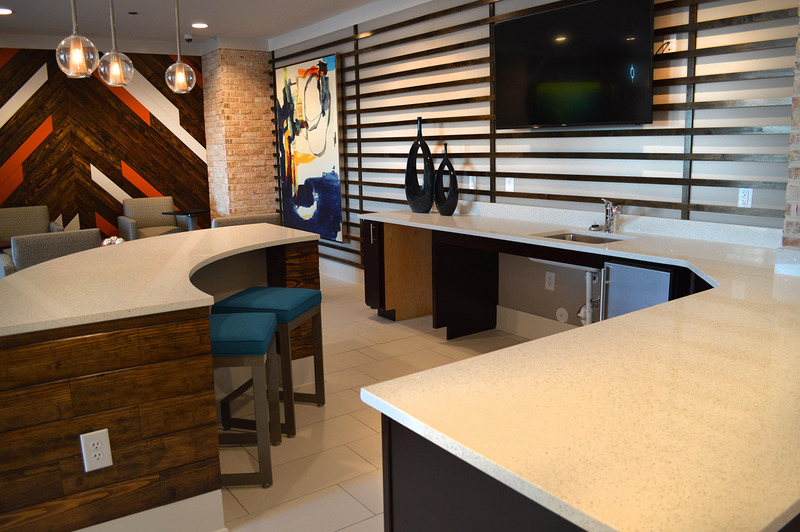 Not only do we offer countertops of superior quality, but we also install them to the highest industry standards. Why settle for second best when the team at East Coast Granite stands ready to help you make the best choice for your home? Get a free estimate today by filling out our form (large yellow button on right side of the screen) or calling us at 855-454-2065.